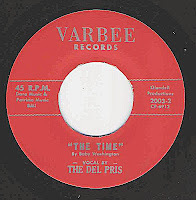 THE DEL PRIS (Varbee Records). Interracial group(two white and three black members) from Pittsburg PA. Formed by Billy Cyrus(Lead),Wilson Rue(1st tenor),Jack Debirsh(2nd Tenor),Harold”Cowboy”Shields(Baritone) and Dan Carr(Bass). 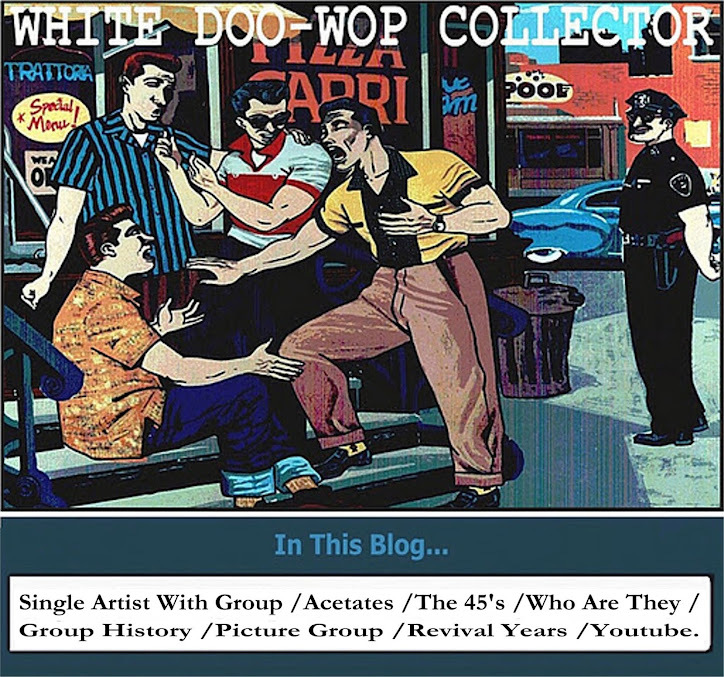 In 1960 Jack and Dan singing in a group, The Del Pris this never recorded and disbanded soon. The Legends were the secong group started by Jack and Dan with Wilson,Billy and Harold, they contacted O’Dell Bailey of Verbee Records who send the guys to the Glen Campbell’s united recording service where recorded four sides, the Baby Washington’s 1959 hit_The Time. The Chuck Jackson side_I Don’t Want To Cry. and the original tunes_Womp. And_It Must Have Been Love. 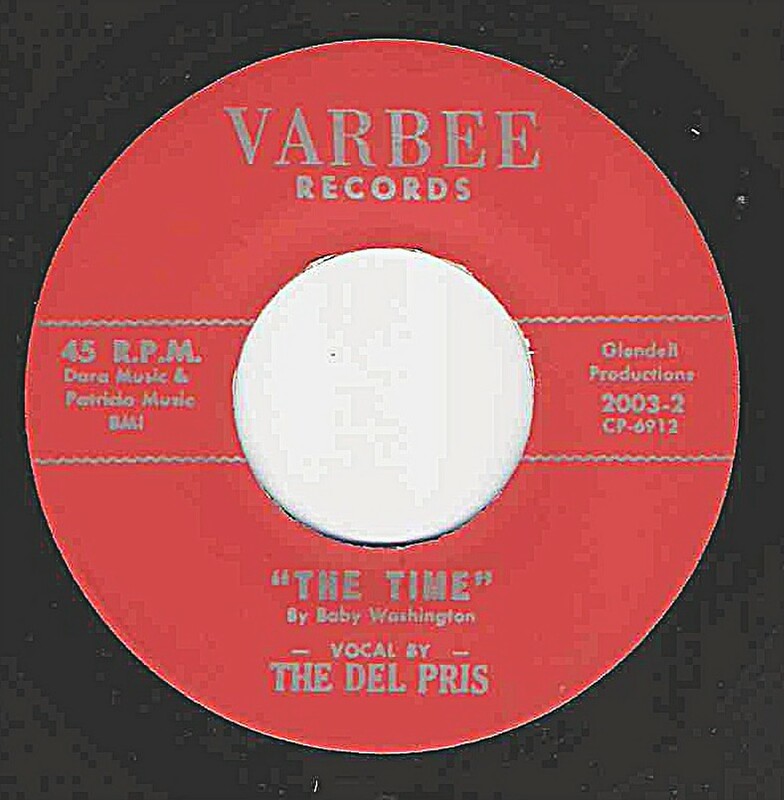 In November of 1961 the label released the sides_The Time/Womp. Under the group name of Jack & Dan first group, The Del Pris why The Legends name was already being used. The disc have a big local acceptance and the group have appearances with DJ’s personalities as Bill Powell,Walter Raleigh or Porky Chedwick, also appear on the TV show “Teen Time” and for a brief time were the back up singer for Little Maxine Simmons. In the summer of 1962 the group want release a second record and looking for a new label, but without luck, Harold disgusted leave the group and Billy join the army and The Del Pris finally broke up. Their disc was re-released on the Restored label and the group have the unreleased sides_I Don’t Want To Cry/It Must Have Been Love.